Many of our clients have been pleased with the results produced from their laser treatment. Read below for further information. "Had microdermabrasion treatment last week ...skin was slightly red for couple of hours and I was ready to return to work.. A week on, and my skin feels super soft and clean"
"Had my first ever treatment on my legs. Was Initially very nervous and anxious .. But the therapist soon had me at ease and took her time till I got used to the sensation .. Lovely lady and the price was great too!!" "Clean, professional, affordable, and great results.. 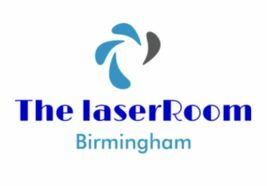 Highly recommend"
 Contact our experienced technicians at our reputable clinic in Birmingham, West Midlands, for information on our competitively priced laser treatments.